Shares in the U.S. payments firm trade 12 pct below an offer from Jack Ma’s Ant Financial. Markets are now pricing in a sizeable risk that the Trump administration will stymie the $1.2 bln deal. That would send a nasty message to Beijing, at the expense of MoneyGram investors. Shares in relative newbies Square and PayPal as well as older outfits Visa and First Data are near all-time highs. Privately held Stripe has teamed up with Alipay and WeChat. Along with Amazon, Apple and others, they’re chasing a $2.3 trln business. They can’t all be winners. Buying Britain’s biggest payments processor for nearly $10 billion only makes sense if the cost savings and revenue opportunities are big enough. While neither side has come up with any synergy estimates yet, some charitable assumptions are needed to make the sums add up. Biometric IDs have cut corruption and helped villagers get bank accounts. But the database may also hand too much power to the state, or hackers. Limiting its mandatory use, and introducing a data-protection law, will help retain faith in a system that helps speed up development. The city is trying to lure hot financial technology listings. But it's a slow mover when it comes to mobile payments and e-commerce. In stark contrast with mainland China, much of Hong Kong still shops on foot and pays with paper. That reflects a broader struggle with innovation. The fintech group has capped account sizes for its $167 bln money market fund, seen as a response to regulatory concern. The move won't stem shadow banking risk much, but banks will benefit from less competition in wealth management. Financial disruption in China has its limits. Financial software group Alfa Financial is floating in the biggest UK offering this year by company value. The pricing looked rich to start with, but investors have since bid it up even higher. Blame a general lack of big listings of late, especially for the fintech-enthused. The Japanese company is investing $1.4 bln into the parent of Paytm, India's top digital payments provider. The trick will be to square it with rules requiring local control of such businesses. Luckily, China's Jack Ma, an existing investor, is an expert in pushing boundaries. Geely, the Chinese owner of the sensible Swedish cars, is buying into a Danish trading platform. Mainland companies are pouring money into foreign finance and Saxo Bank’s fintech knowhow has allure. It's hard to see what use Geely’s carmaking experience will be here, though. Only a tax break spared the $90 bln Wall Street firm a dreary first quarter. Its young online banking unit is growing fast, though. Eventually it could deliver far higher returns than the investment bank. Goldman's take on Main Street may be CEO Blankfein's best long-term hope. Ant Financial's sweetened $1.2 bln bid for MoneyGram is 20 pct higher than rival Euronet's. Cost cuts alone can't justify a new counteroffer. Given Anbang's struggles to close its deal with Fidelity & Guaranty, Euronet is better off waiting to see if regulators clear the way. Renaud Laplanche is launching another online lender, Upgrade. He may avoid the scandal that cost him his Lending Club job. But alternative lending suffers from high costs, flighty funding and poor earnings. These give old-school banks the upper hand – if they can capitalize on it. A mooted move to enable payments through WhatsApp, the messaging service, might help the social media giant retain users in its biggest market. But Alibaba-backed Paytm and a state-backed rival would be fierce competitors. It is hard to see how WhatsApp could stand out. Investors think Jack Ma's fintech group is ready for a bidding war over a U.S. remittances firm. Ant wants a global network connecting 2 bln digital wallets. MoneyGram's network and licences could help. Wisely or not, Ant is unlikely to back off on this fight, or others to come. Boss Richard Liu is separating the finance business valued at $7 bln out of the e-commerce group and taking a direct stake for himself. It is less controversial than when Alibaba did the same in 2011. But there are enough similarities with this cosy deal to sound an alarm. Banks are lining up to help the Chinese fintech giant raise cash. Taking on U.S. dollar debt when China is tightening capital controls is sensible. The Alibaba affiliate can also flex its muscles with bankers and sound out the market before a much-anticipated IPO. SoFi is buying an upstart that offers customers novel multicurrency accounts. Third parties hold the cash, sparing SoFi tough regulation but also fencing off the benefit of cheap deposit funding. Still, it's the closest thing so far to merging Main Street and Silicon Valley. 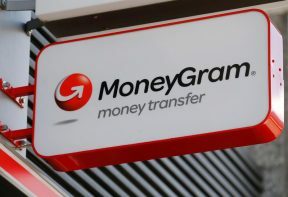 The $880 mln purchase of remittances firm MoneyGram looks like a counterintuitive bet in a de-globalizing world for the Alibaba founder's financial arm. International payments are a tough business. But MoneyGram gives Ant a U.S. base with tunnels to many developing markets. Beijing has cracked down on people converting yuan to dollars, but seems relatively relaxed about them piling into the virtual currency. That's probably because the bitcoin market is tiny, volatile, and dominated by local speculators: an unreliable channel for capital outflows. Blockchain, robo advice and other technologies once hyped as the most disruptive to finance will take a back seat in 2017. The payments battle will step up a gear. Alternative lenders will hunt for deposits. And resurgent earnings may give U.S. banks a timely war chest.